Book Description: Christy Award–winning novelist and lawyer Singer (Directed Verdict) lets the action sprint out of the gate with a murder in the first few pages. With murderer and victim dead, the moral issue of gun control takes center stage in the book, with a number of side dilemmas. The opposing counsels in the gun control case are young, ambitious lawyers, and both have hidden sins that could sink their careers. A law firm that both worked for further complicates the action. 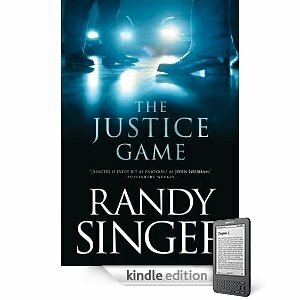 Singer piles the moral and plot complexities a bit too high; the backstories of main characters Jason Noble and Kelly Starling are relevant, but the tangled relationship between Jason and his cop father bogs down the action.